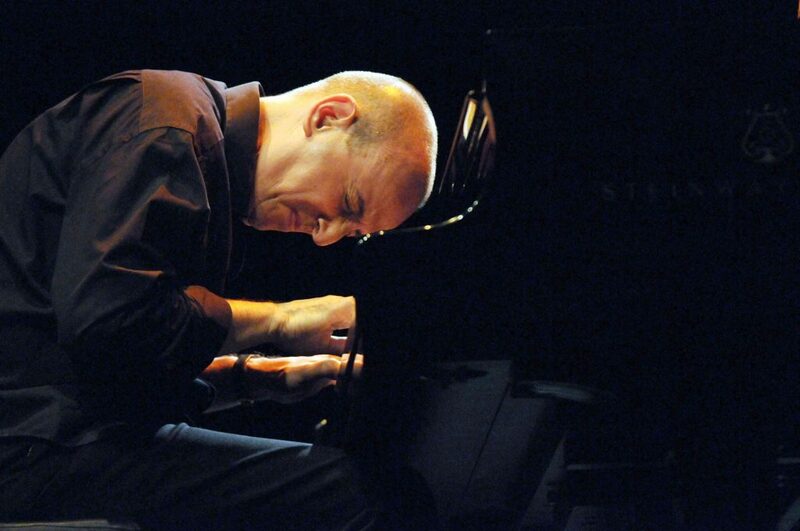 Today’s GJF program features concerts by superb international talents, starting at noon with a solo concert by Barcelona pianist Agustí Fernández, a leading light of European creative music with a list of collaborators that reads like a ‘who’s who’ of global improvisation. The concert marks our continued partnership with the University of Guelph College of Arts ‘Thursday at Noon’ free concert series in the Goldschmidt Room, 107 MacKinnon Building, on the University campus. Then, the 8pm double-bill at Co-operators Hall, River Run Centre (35 Woolwich St.), presents the uniquely talented New York vocalist and composer, Amirtha Kidambi, and her quartet, Elder Ones, whose music blends formal and timbral material of Carnatic music with ecstatic improvisation reminiscent of both John and Alice Coltrane. They share a bill with the Quartet led by Toronto drummer and composer, Nick Fraser, one of Canada’s leading improvising musicians, and featuring the renowned New York saxophonist Tony Malaby along with cellist Andrew Downing and bassist Rob Clutton. Tickets are $25 general, $20 for students, seniors, and the under-waged, and available from the River Run Centre box office. The Thursday programming includes free events in the afternoon including a 2pm Roundtable on “Improvisation in Music and Words” and a 3:30pm Scholars Panel, “Rising Up Off the Page,” with distinguished researchers Vilde Aaslid and Meta DuEwa Jones. These events, hosted at Silence (46 Essex Street) are followed by a free 5pm reception on the 4th floor of 10C (42 Carden Street) that marks the opening of an exhibition, Crepuscule, displaying invented instruments and other works by Douglas Ewart, the 2016 IICSI ‘Improviser-in-Residence.’ During the reception, multi-instrumentalist, and composer Ewart will be joined by vocalist Rita Warford and bass clarinetist Kathryn Ladano for a brief performance. Colloquium events continue throughout the GJF, and details about all of the Colloquium programing can be accessed here. We look forward to seeing you at all of these events, and throughout the weekend at the 25th Anniversary Guelph Jazz Festival & Colloquium.